MK’s bill on banning delicacy could be used to support European ban on kosher slaughter, French Jewish leader says. A proposed ban on foie gras imports to Israel could lend inadvertent support to those working to ban kosher slaughter in Europe, a French Jewish leader has warned. 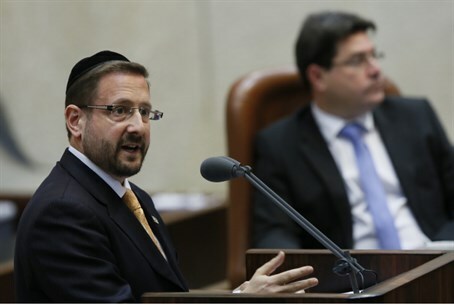 Rabbi Yirmiya Cohen, the head of the Jewish court (Beit Din) in Paris, wrote to Minister of Agriculture Yair Shamir with a warning about a bill put forth by MK Rabbi Dov Lipman (Yesh Atid). “As you know, some European countries are listening to the ‘greens’ whose goal is to stop Jewish slaughter… Imagine how it will look to them when Israel itself is the first to ban the import of foie gras, which it believes was grown under conditions of cruelty to animals,” he wrote. “Those proposing this law are definitely giving our enemies a double-edged sword,” he added. Animal rights groups will use it to defend their attacks on kosher slaughter, he warned. Foie gras is made of the liver of a duck or goose that has been specially fattened, often using force feeding. Several European countries have banned force-feeding of animals over concerns that the procedure is cruel to animals, but they continue to allow foie gras imports from countries that do allow force-feeding. Rabbi Cohen said that the procedure is no longer cruel. He wrote that he personally has visited some of the largest foie gras production facilities to see the new feeding techniques. “I saw with my own eyes that they [the geese] were alert, healthy and well… The European veterinarians see this, and have authorized it,” he said. “It would be absurd for Israel in particular to be a ‘light to the nations’ and to prove to the nations that they are wrong, that there is animal cruelty in fattening,” he argued.